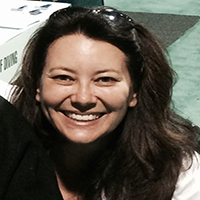 Claudia de Luna began her career at NASA's Jet Propulsion Laboratory (JPL). She joined the then Multimission Image Processing Laboratory Team (the group that processes the images returned from the various missions) fresh out of college focusing on software development and then moved to the networking team a few years later. She left JPL after 15 years having gone from the kid who helps you connect your computer to the network to the Technical Manager of the Network Development Team and the Lab's representative to NASA on networking. Looking for new knowledge and to broaden her experience, she left JPL and worked for a variety of companies in different verticals including Biotech and Banking, before becoming an independent consultant supporting the State of California Department of Corrections, Prison Healthcare, and ultimately the State's Department of Technology. With that multi-vertical experience, she joined a Cisco Global Gold Partner working to design and deliver networks and data centers and so started her pursuit of Software Defined Networking (SDN) technologies and Automation. She returned to independent consulting in 2018 in order to fully focus on SDN and Automation. Claudia holds a Bachelor of Science Degree from Stanford University and currently lives in the Bay Area.